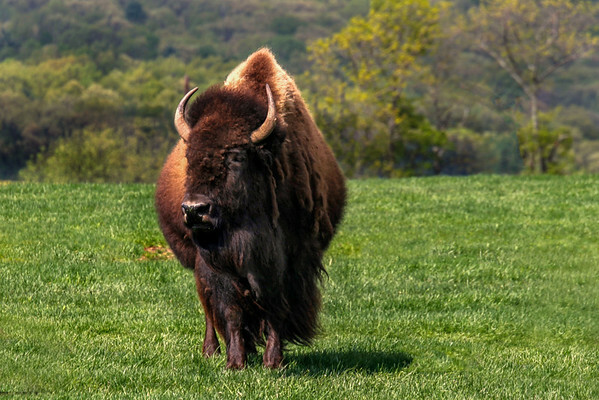 Early American settlers called bison “bufello” due to the similar appearance between the two animals, and the name "buffalo" stuck for the American variety. But it's wrong. Like buffalo, bison belong to the Bovidae family, which includes more than 100 species of hoofed mammals, called ungulates — buffalo, bison, antelopes, gazelles, cattle, sheep and goats. Two main buffalo species exist: African cape buffalo and Asian water buffalo. Aw Tony ... thanks so much. Likewise for yours. Great composition of this amazing animal. I really enjoy your photographs!